Why Choose TotalGuard™ to Protect Your Building? 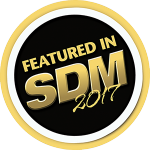 Edge based devices are becoming the leading trend in intrusion and video systems. 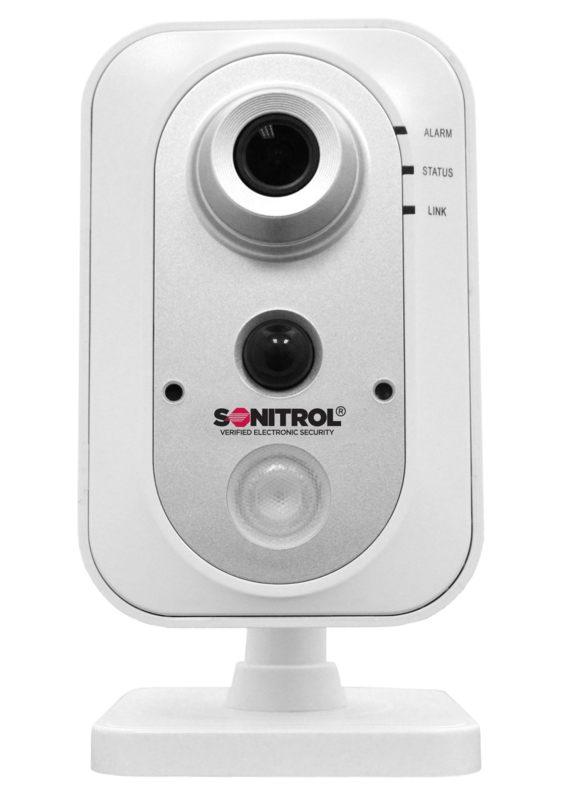 This ALL-IN-ONE TotalGuard™ provides a host of benefits that can be added to the existing installed Sonitrol system, including: full volumetric coverage with impact activated audio intrusion; glass break detection; digital alarm generation; PIR coverage; remote accessibility; high video image quality with digital zooming and edge based recording options. TotalGuard™ allows users to maximize both investment with the facility security improvements. No other product on the market can match the combination of the built-in features with the ease of installation and cost. TotalGuard™ is packed with many and exciting features, including the ability to stream live audio on an alarm event. TotalGuard™ also now incorporates “impact activated audio detection” for volumetric coverage of a facility. Coverage is volumetric in scope and is comparable to the coverage pattern of the AUDIO SENSOR. Audio detection can only occur when the system is Armed. For Video Verification resulting from an Impact Audio alarm, it’s best to position the devise such that the assets to be protected are in viewing range of the camera. Other cameras that are positioned such that the assets are in viewing range can be used for Video Verification as well. When Impact Audio is enabled, once audio is present that crosses a specific audio threshold, the camera will stream audio to the Central Station. If the system is configured to allow Video Verification on an Impact Audio event, the Operator can view both live and playback video associated with the event. When an Impact Audio event occurs, the camera will stream 5 seconds of stored audio (pre-event), followed by a live stream of audio. The ability to stream audio as a result of a Glass Break event. Glass Break detection can be configured to operate 24 hours a day, when the system is Occupied, or when the system is fully Armed. Glass Break Analytics can be turned on while Impact Audio is turned off. When a Glass Break event occurs, the camera will stream 5 seconds of stored audio from the time of the event, followed by a live stream of audio. The ability to stream audio as a result of a Digital Input violation. The device will stream listen-back audio to the Central Station. The ability to stream audio as a result of a PIR violation. The device will stream listen-back audio to the Central Station. The ability to turn off Impact Audio, and only stream listen-back audio as a result of an alarm. Sonitrol has been a great company to work with. They are always professional and very helpful and supportive. Andrew has been without question the best contact we could have. When our church was burglarized he was here assisting our staff and police with the investigation. His concern was very evident. We know he cares. The cameras we have installed helped us identify the person. We know that Andrew is just a phone call away to resolve any issues or answer any questions we may have. Sonitrol has been a great company to work with. They are always professional and very helpful and supportive. Andrew has been without question the best contact we could have. When our church was burglarized he was here assisting our staff and police with the investigation. Crossroads Christian Church has been using Sonitrol for a little over a year now and are happy with our decision to use their services. Andrew Beitler has been our sales person from the beginning and has continued to help with any needs. Any questions or concern have been answered and dealt with in a timely manner, which is very important to us with security matters. I recommend Andrew Beitler at Sonitrol for all security needs. Crossroads Christian Church has been using Sonitrol for a little over a year now and are happy with our decision to use their services. Andrew Beitler has been our sales person from the beginning and has continued to help with any needs. As a Superintendent, you have the opportunity to work with many companies during the school year. During my tenure, I was fortunate to work with Sonitrol. Sonitrol provided our community the piece of mind that only an effective security system can offer. The competency, professionalism, and most importantly the customer service that was provided by Andrew Beitler met every school district need. It is without hesitation that I would recommend Sonitrol for all your security needs. As a Superintendent, you have the opportunity to work with many companies during the school year. During my tenure, I was fortunate to work with Sonitrol. Sonitrol provided our community the piece of mind that only an effective security system can offer. safety. This is a must have service for your parents. I asked Sonitrol to install a security system for my mother after my father died. It gave her piece of mind. As she aged, I added fire alarm services. Later I added a safety service where she wore necklace device that allowed her to receive emergency services at the push of a button. We want to let you know that the digital camera monitoring systems that Sonitrol has installed in Southside High School and Central High School have worked out very well. I have received feedback from administrators from each school noting that the picture quality is very good and they are please with the outcome. Administrators at both schools have stated that the systems have enabled them to identify and connect student mis-behavior issues. The school administrators have also noted that just having the cameras widely distributed throughout the school has been a deterrent for some students. One administrator commented that he had been able to isolate, identify and verify infractions as minor as which student had left his lunch tray on the cafeteria table to more serious where one student had committed battery on another student. The two high schools have been pleased with the camera systems. Thank you for helping our school system with our security needs. We want to let you know that the digital camera monitoring systems that Sonitrol has installed in Southside High School and Central High School have worked out very well. I have received feedback from administrators from each school noting that the picture quality is very good and they are please with the outcome. For over 18 years, you have provided super security, customer service beyond compare and employees that seem like family! For over 20 years we have always been able to count on Sonitrol for our buildings security needs. Sonitrol always responds promptly to any alarm and alerts us as to any entries into our building at times that are out of the normal hours of operation. We highly recommend their services! For over 20 years we have always been able to count on Sonitrol for our buildings security needs. Sonitrol always responds promptly to any alarm and alerts us as to any entries into our building at times that are out of the normal hours of operation. What I like best about Sonitrol is that my alarm system is monitored locally. 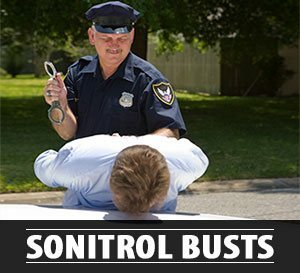 Sonitrol knows the area, knows local law enforcement and understands the difference between a real burglary and a false alarm. Muncie Community Schools would like for your company to know that we are very highly satisfied with all the new equipment and older relocated equipment that has been installed over the past two years (and before as well) over our entire school campus system. When we do have an issue, Sonitrol techs are on it right away and do a great job in correcting issues. We are so pleased that this upcoming fiscal year (FY16) we will be replacing all but two of the old ADT systems previously installed in a few of our fifteen campuses. The addition of the upgraded panels across our campuses will enable us to use and share data and video feeds via the Sonitrol Mobile App. Just the idea of being able to remotely set and disable alarms, look at cameras live in all campuses, and share with public safety the live campus feeds in real time has us very excited. The level of safety which was already high at the MCS will be enhanced even further propelling us into the status of a highly safe school system. Administrator feedback on the operating systems you have installed has been one hundred percent positive and all are looking very forward to the mobile app going live on their devices during the last half of the school calendar year. Administrators report that the upgraded numbers and clarity of the current cameras have enabled them to solve many complex and simple issues ranging from not only student discipline but staff behavior as well. The cameras themselves act as a deterrent to negative behavior for a huge number of students. One administrator commented that the cameras have helped solve fight issues, contraband issues, truancy issues, and even an infraction as simple as one’s leaving his/her lunch tray behind at dismissal time back to class. Our partnership with Sonitrol was always very good but thanks to Indiana’s Secured School Safety grants for FY 15 and FY 16, we now have cameras at every campus in the system as well as buzz-in door entry systems at every campus in the system. As a Police Officer of 36 years I have seen first hand the positive impact on both crime prevention and crime apprehension due to the current system from Sonitrol and look forward to the future use of the mobile app to enhance security performance to an entirely new and much elevated level. It has been my pleasure to have worked through all of the purchase, repair, and equipment issues with our Sonitrol Rep Misty Rudy. She has always been on top of issues and informative of the best systems available for our campuses. She is pleasant, well spoken, very organized, intelligent, and can see the big-picture of our wants and needs yet still keeps in mind our budgetary constraints. I can email and call her any time with repair issues and she has the techs right on the issue through resolution. She is the embodiment of your corporation and represents your company very well. Muncie Community Schools would like for your company to know that we are very highly satisfied with all the new equipment and older relocated equipment that has been installed over the past two years (and before as well) over our entire school campus system. When choosing a company to handle our security needs, we knew we wanted to do business locally. Not only to install the system but to also have it monitored here in town. The professionals at Sonitrol were great to work with in every way. The safety of our team and protecting customer information is very important to us. With the mobile app, we are able to monitor live or recorded HD footage. It's also set up to send text alerts when the system is armed or disarmed. This gives us great peace of mind, especially when traveling or working remotely. We have been very pleased with the level of service, especially long after the sale. We look forward to working with them for years to come. When choosing a company to handle our security needs, we knew we wanted to do business locally. Not only to install the system but to also have it monitored here in town. The professionals at Sonitrol were great to work with in every way. I really appreciate the professional care I receive from Sonitrol. The high level of customer service is second to none. I also appreciate the peace of mind I have knowing my business is protected when I'm not there. As we are all aware, the changing of times has called for a need to increase security in our schools to protect our students and staff. Many of you have procedures already in place to keep your buildings secured at all times. Those of you who have recently visited our Glassford and Hood Centers know that WOVSED made the decision to further increase the security of our buildings by installing a Sonitrol Alarm System. concerns, and ensuring that our staff is adequately trained to utilize the system and its features, Andrew has been very helpful every step of the way. Overall, we have been highly satisfied with our Sonitrol Security System and the support that Sonitrol provides. I encourage each of you to set aside some time to talk with Andrew about what Sonitrol can do for your school district. You will not be disappointed! As we are all aware, the changing of times has called for a need to increase security in our schools to protect our students and staff. Many of you have procedures already in place to keep your buildings secured at all times. Copyright © 2015 Sonitrol EV | All Rights Reserved | Website Design by Evansville SEO Powered by Optimization Prime.